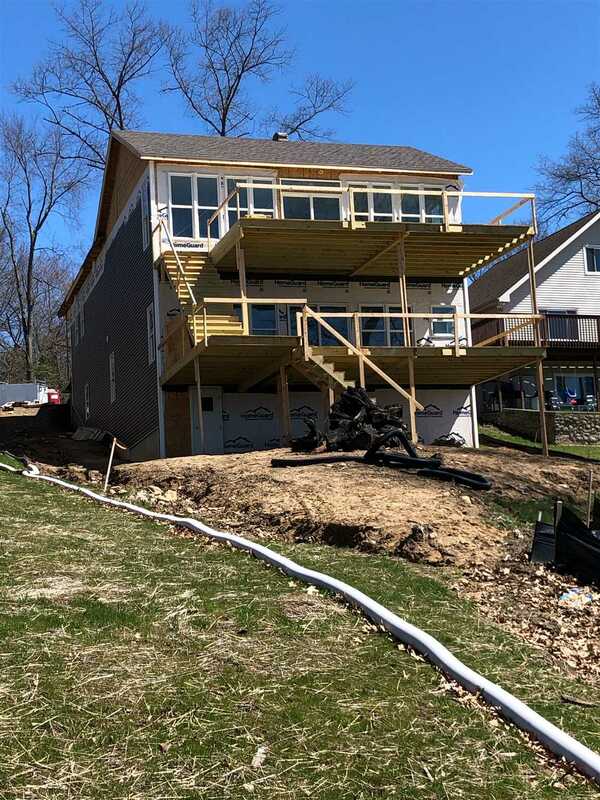 New under Construction home on Crooked Lake! Crooked Lake is a 802 acre ski lake in beautiful Steuben County, home of 101+ Lakes! A great time to buy and be in your new home by Memorial Day weekend! 58 feet of lakefront plus additional 50x100 back lot. 3400+ sqft home featuring 4 bedrooms, 2 full baths & 2 half baths. Awesome split floorplan, with complete living quarters on each floor. Main floor master suite complete with private laundry, huge WIC. Living room & kitchen with wall of windows, ample natural light and lakeside deck to take advantage of the awesome views! Lower level features 3 bedrooms, full bath and a half bath with guest laundry. Plus a full size kitchenette and huge family room! Sportsmen can enjoy fishing and find Bass, Catfish, Crappie, Bluegill, Largemouth Bass, Carp & Walleye! Great watersports and swimming plus a sandbar. Estimated completion end of April-beginning of May.